When students open the media, the question will be displayed (if any) as shown below. 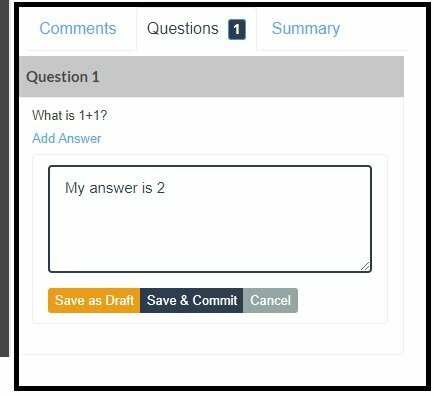 Students click on “Add Answer” and save as shown below. 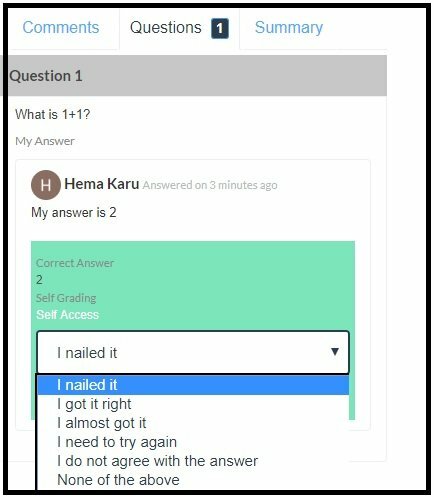 Student will see the “correct answer” (if any) and will have the opportunity to self-grade by choosing one of the options from a drop-down menu as shown.